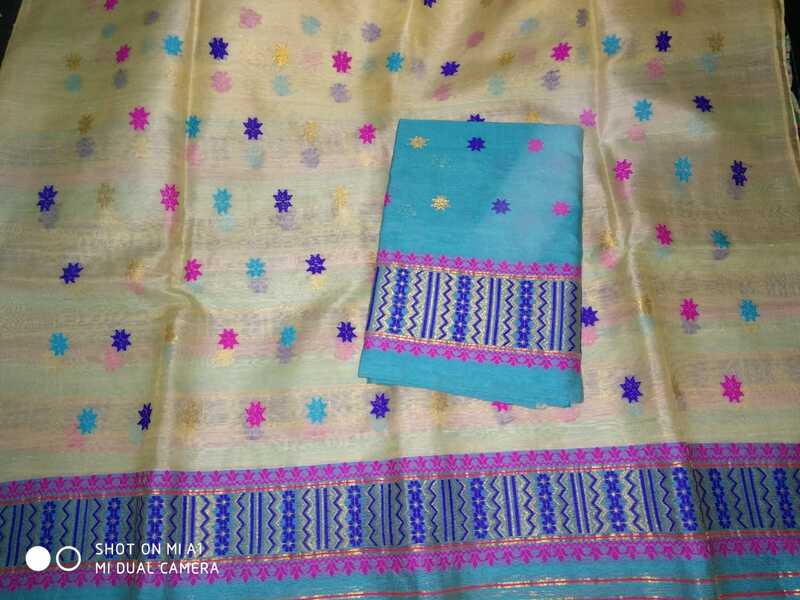 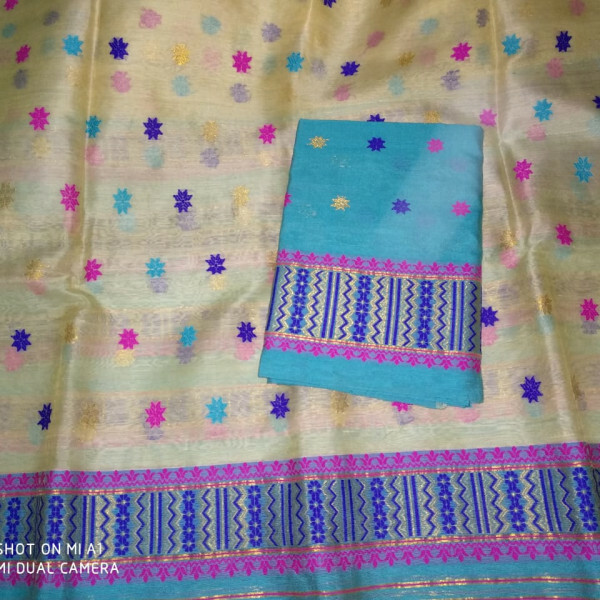 Staple cotton mekhela in Sky Blue colour with small Buta work having different colours like blue,pink and Guna.Sador is also designed with small Buta work with different colour combinations. 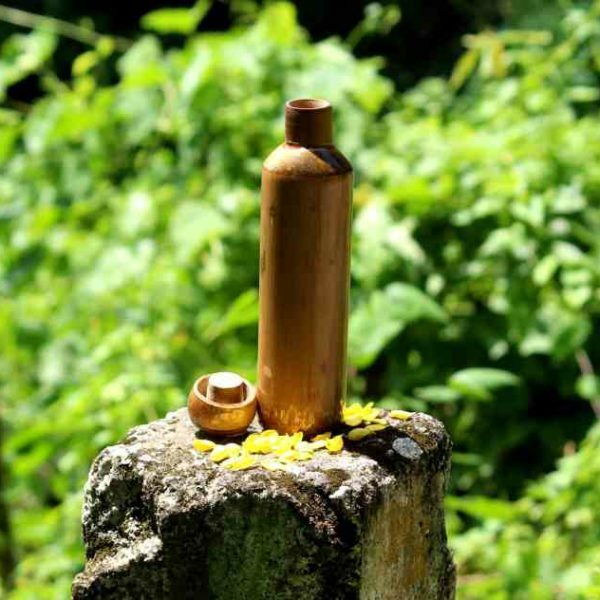 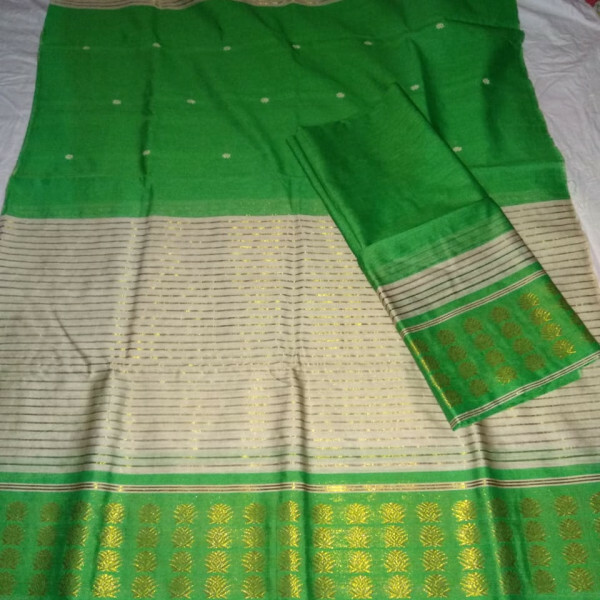 Designed side pari is also available with a blouse piece. 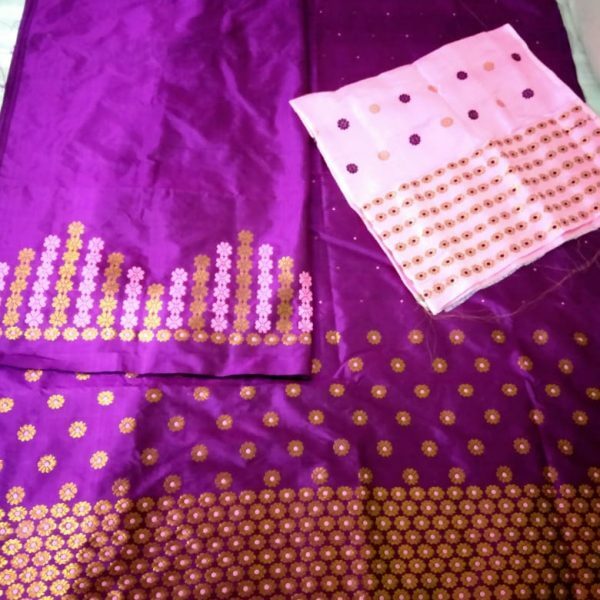 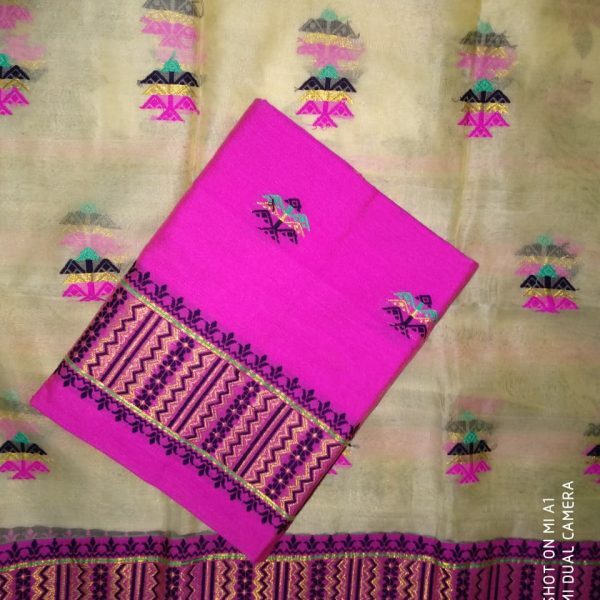 It gives a gorgeous look after stitching this mekhela sador.Feel comfortable and looks gorgeous in a party.